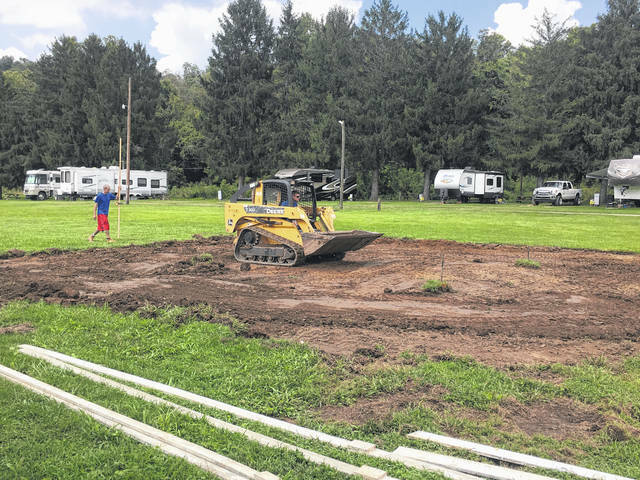 Construction has began on the Point Pleasant Splash Pad at Krodel Park. Construction of the splash pad will take around 10 days or less depending on the amount of work able to be completed each day. After completion of the splash pad’s initial installation, the company will then install a safety surface over the splash pad’s concrete grounding. https://www.mydailyregister.com/wp-content/uploads/sites/24/2018/08/web1_0828.SplashPad.jpgConstruction has began on the Point Pleasant Splash Pad at Krodel Park. Construction of the splash pad will take around 10 days or less depending on the amount of work able to be completed each day. After completion of the splash pad’s initial installation, the company will then install a safety surface over the splash pad’s concrete grounding.